ABC7: Renting in Yorkville: What Will $3,000 Get You? Milena Baram brings intense energy and exceptionally keen insights into the NYC residential market. It’s no surprise—Milena learned New York real estate from the ground-up: first in the mortgage industry, then in real estate management, and today as a real estate broker who delivers exceptional results. Clients value her creative problem solving, extensive resources, and negotiation skills. Never one to settle, Milena cuts through all obstacles on behalf of her client. 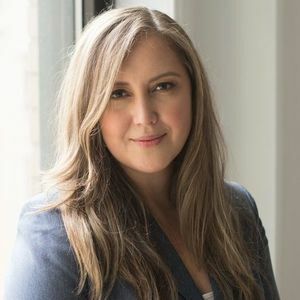 Her operational expertise and data-driven strategies are garnered from her time at Douglas Elliman, where she was the support lead for a top performing multi-million dollar real estate team. By working quickly and knowing which issues required laser focus, Milena transformed the team’s efficiency. The result: business revenue tripled. Prior to joining Compass, Milena was at Keller Williams NYC, receiving quadruple gold award and ranking among the top 20% of agents in the market center. She served on the firm’s ALC Leadership Committee and Tech committee. Milena’s family moved to New York City from the Ukraine in the late 1980’s. Having grown up in Brooklyn and lived in every borough of NYC, Milena has a unique and intimate knowledge of the town she calls home. Milena is fluent in Russian.